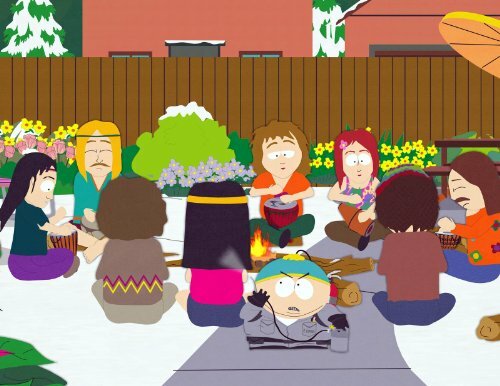 A co-worker was telling me he ran into a big drum circle in DT Raleigh on a recent Friday night. The way he described it, it sounded like what one might find in Asheville on a nice Friday PM. I'd like to find out more. I'm not a drummer, but these things usually draw "my kind of crowd". Sounds like an episode of South Park. I know on First Friday, Times Bar usually closes Hargett Street Between Wilmington and Fayetteville and has vendors, beer and often a drum circle. That may have been it. Sounds like the "Morning Times Market" which takes place on Hargett Street in front of the Morning Times Coffee / Raleigh Times Bar during First Friday's of the Month. They usually have a community drum circle and artists set up along the street from 7-11pm on the first Friday of the month during the warmer months. Ha! I think NRG and I were posting at the same time.